Cate Crombie has a rich background in teaching. Originally a graphic designer specializing in marketing communication, then becoming a teacher of parenting, this followed training people in how they could communicate to one another. However when Cate came across the work of Marshall Rosenberg in 2000 she had no doubt this is what she wanted to do. She has seen the principles applied in schools, at work, in social settings and in homes bring marvellous changes for individuals dealing with difficult situations, working with conflict, and when people didn’t know how to approach sensitive areas. Cate says that very few of us have actually been taught to communicate. We have ideas and beliefs, which we may attempt to live by, but the vast majority of us find real listening, true hearing and making genuine connection, extraordinarily difficult, even though we might think our communication is good. Often people who have lived together for many, many years find that their connection with each other has not grown with the years and their communication remains on a very superficial level. Compassionate Communication or NVC, also shows us how many of the words we use and approaches we take to communication actually prevent us from having the contact with others that we deeply desire. These courses provide the insights and the skills to bring the changes we desire. 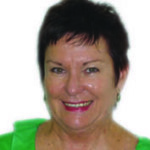 Click here and search Cate Crombie in the Search to view Cate’s upcoming courses. This course should be taught in schools. It covers the fundamental communication skills that enable people to get their needs meet without coercion, fear or force. Cate is a fabulous presenter – she has a capacity to listen that is quite astounding and refreshing all at the same time. Her ability to tease out tough issues into a simplistic structure gives one a sense of comfort in the knowledge and confidence that meeting one’s own needs is very possible.